Planet Earth contains an abundance of food, thousands of farms, and millions of acres of natural wildlife. Earth’s skies were once clear, and its waters were once pure. The knowledge, skills, and capabilities developed by humanity have gradually evolved and created an artificial environment not fit for any living being. From the air we breathe, to the foods we eat, and the water we drink, humanity has been slowly poisoning its future generations. The air we breathe is filled with biochemical combinations of pollutants such as sulfur oxides, hydrocarbons, toxic metals, and carbon dioxide. These and other pollutants find their way into our respiratory system, causing all kinds of havoc upon our health. They also add to the ever-increasing threat of global warming and may one day be partly responsible for the death of countless lives throughout our planet. Our oceans, rivers, and lakes are becoming unsafe from the millions of tons of garbage we have dumped into them. From human waste to radioactive materials and hazardous toxic substances, these vast bodies of water have become ticking time bombs that potentially could one day kill most life below its surface. Because of pollutants from agricultural waste such as fertilizers and pesticides, our drinking water must be treated with chemicals such as chlorine, fluorine, phosphates, alum, sodium aluminates, soda ash, carbon, and lime to help purify it. However, questions have been raised as to the possible dangerous side effects of these substances. Will we ever learn? America the plentiful! From the beaches of Waikiki to the shores of Staten Island, our nation is flourishing with an over abundant supply of food, resulting in over indulgence by the American consumer. Our country has tens of thousands of supermarkets, grocery stores, delis, restaurants, and fast food outlets to satisfy our taste buds, twenty-four hours a day, every day of the year. Our nation’s diet is loaded with tons of sugar, salt, artificial coloring, additives, preservatives, flavorings, emulsifying agents, stabilizers, and other artificial ingredients. Whatever happened to good old-fashioned wholesome meals? This country’s health statistics show an ever-increasing danger. Illnesses such as cancer, heart disease, stroke, and high blood pressure are on the rise at an alarming rate. Is there a relationship between this civilization’s diet and its poor health? You better believe it! Many of our people live sedentary lives. Our high tech society has become a nation of couch potatoes whose major exertion is moving from the TV to the PC. Before our eyes, we are witnessing a culture emerging into bodily proportions never seen before. It is up to you, the individual, to get on the highway to health. As you travel along its path, you will learn about nutrition, exercise, rest, proper mental attitudes, and all the facets necessary for a healthy lifestyle. By applying these basic concepts of health into your lifestyle, you will become more in tune with nature and thus become more vibrant and positive about yourself and the world in which you live. Nutrition is bodybuilding! The foods you eat will not only help to determine how fast and strong your muscle tissues will replenish after a big workout, but more importantly, they will help to determine how healthy and long a life you may live. Since nutrition is of the utmost importance to the bodybuilder, it should be clearly understood, that to develop and maintain a muscular body, he or she, must be sure that all the essential nutrients, such as carbohydrates, fats, proteins, vitamins, minerals, and water are supplied and utilized in an adequate balance to help maintain optimal health and well being. If inadequate amounts of the essential nutrients are not provided for a period time, deficiencies may occur, resulting in poor – organ development, reproduction, growth, maintenance, health, working efficiency, and resistance to infection. This may lead to disease and the inability to repair injury and build muscle. No single substance can maintain vibrant health. Although specific nutrients are known to be extremely important in the functions of certain body parts, they too are dependent upon the presence of other nutrients to function properly. Since our health is similar to a puzzle, we should make every effort to acquire all the pieces needed to help maintain an adequate and balanced daily intake of all the necessary nutrients throughout life. I can still remember the diets I use to read about in the old muscle magazines. Foodstuffs such as pasta, ice cream, cakes, cheeseburgers, and hero sandwiches were at the top of the list. Let us not forget the old protein malteds. A mixture of corn syrup, strawberry preserves, ice cream, honey, peanut butter, protein powders, and gallons of whole milk were among the ingredients. It’s amazing how some bodybuilders didn’t explode with all the gas created within their intestinal system. I’m sure we have all seen bodybuilders with fantastic physiques that live on diets loaded with all kinds of junk foods. It is true they look good now, but how are they going to look in twenty years? After a while, their poor lifestyles are going to catch up with them. Chances are their health will become impaired as their vital systems experience various illnesses, causing their once mighty muscles to weaken and become nothing more than a shadow of their former selves. Bodybuilding’s ultimate goal is to build a super strong body, glowing with radiance and sparked with health, and to create a positive attitude towards life. When planning your meals, remember you are not living to eat, but eating to live. With this thought in mind, I myself follow a well-planned nutritional program, consisting of just the right amounts of all the essential nutrients. Through decades of endless research and natural living, I have brought my health to a state of near perfection. It did not come easy. I tried and experimented with many different food variations. As time went on, I eliminated more and more artificial foodstuffs from my diet. I bought and read dozens of books on nutrition and eventually my knowledge on the subject became paramount as I evolved into a living chemistry set, calculating my nutritional intake day by day. It is important for bodybuilders to know and understand the many sources from which calories are obtained. Our primary sources of energy come from carbohydrates, fats, and proteins. These essential nutrients supply the fuel necessary for our bodies to produce energy and body heat. Their fuel potential is expressed in calories, a term that signifies the amount of chemical energy that may be released as heat when food is metabolized. Therefore, foods that are high in energy value are high in calories, while foods that are low in energy value are low in calories. Fats yield approximately nine calories per gram, and carbohydrates and proteins yield approximately four calories per gram. The natural bodybuilding lifestyle requires more calories in the diet than that of an average person. Natural bodybuilders also need sufficient calories, proteins, carbohydrates, fats, vitamins, and minerals each and every day to help regenerate muscle tissue after tearing it down through intense training. Let’s look at these essential nutrients. One nutrient I like to discuss is protein. Protein is the most discussed and misunderstood topic in the field of nutrition as it relates to building muscle. Next to water, protein is the most plentiful nutrient in the body. It is an important element in the maintenance of good health and vitality and is our primary source for growth and development. Protein is extremely important to the bodybuilder. When taken in the right form and amounts it serves as the building blocks for his muscles, blood, skin, hair, nails, and internal organs, including the heart and brain. Protein is needed for the formation of hormones, which control a variety of bodily functions such as growth, sexual development, and rate of metabolism. Bodily protein also helps prevent the blood and tissues from becoming too acid or too alkaline and helps regulate the body’s water balance. Enzymes, substances necessary for basic life functions and antibodies that help fight foreign substances in the body, are also formed from protein. 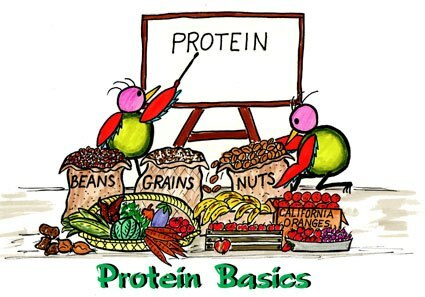 Protein comes in many forms and is found in every cell in our bodies. Hormones, enzymes, structural and immune components, as well as muscle contractile molecules are all proteins. Amino acids are the building blocks from which protein molecules are constructed. Of the twenty amino acids, eight are called essential. Essential amino acids are called such, not because they are more important to life than the others, but because the body does not synthesize them, making it essential to include them in one’s diet in order to obtain them. Eggs have all the essential amino acids. 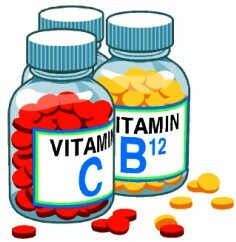 They are also high in the vitamins, A, B, D, E and choline. Lecithin, which is a natural emulsifier of cholesterol, is also found in eggs. Two other excellent sources of protein are fish and chicken. These, along with eggs, contain all the amino acids necessary for human survival. As you can see, protein is a top priority for the bodybuilder, which leads us to understand why it is consumed in excess amounts. Since bodybuilding is a serious business, many athletes are sure to include plenty of protein in their diets to help guarantee continued gains. This is fine and should be the case, but somewhere along the way, things have gotten out of hand. Many muscle builders advocate eating extremely high amounts of protein to build muscle mass. I have seen two hundred pound bodybuilders consume anywhere from 2.0 to 3.0 grams of protein per pound of bodyweight on a daily basis. This equates to eating roughly between 400 to 600 grams of protein a day. Eating high amounts of protein does not guarantee muscle mass. It is not how much you eat that counts, but what you eat, digest, and assimilate. A natural bodybuilder cannot assimilate the large amounts of protein that a bodybuilder using steroids can. Excess protein will thus be removed as waste or stored as fat. A basic guideline for a natural bodybuilder in training is to consume between 1.0 to 1.25 grams of protein per pound of bodyweight daily, and to spread it out over several small meals throughout the day to help maximize muscle repair and growth. This is the same principle I have personally followed for decades and I find that it helps me maintain my muscle mass as well as my phenomenal strength. At times, when vacationing or just taking a break from training, I will lower my consumption of protein to less than one gram per pound of bodyweight. Calories, carbohydrates, and fats are also lowered, since my body needs less in the way of these nutrients to function normally. Due to over-exposure by the media, advertisements, and numerous articles written by the so-called champs, consuming large amounts of protein has become a daily habit for many athletes. It has come to be believed that daily intakes of large amounts of protein make the body’s muscle mass grow at a faster rate. Actually, the opposite is true. Excess protein consumption may cause fluid imbalances and disrupt the body’s functional systems, depriving us of our health and vitality. Excessive proteins are also stored as fat, since they are an inferior source of energy as compared to the carbohydrates and fats from foods. The human body can only digest so much protein at any one sitting. Consuming 30 to 50 grams of protein at one meal is much more efficient than stuffing your body with 70 to 90 or more grams at a time. Learn what your protein requirements are and then design a diet for yourself that helps you realize the benefits of maximum protein absorption from several small meals throughout the day. Multiple small meals not only make it easier to consume the number of calories required to sustain and build muscle, but they also give your body the chance to absorb more nutrients with less chance of waste. It would seem to me that the best source of protein comes from the egg. It is nature’s most natural, complete, and balanced protein; packed with loads of vitamins, minerals, and fat emulsifiers. It even comes wrapped in its own shell, which holds and protects its vital nutrients safely. Next to the egg, chicken and fish are two other sources of high quality protein. If you feel that your body requires animal flesh to keep your health and muscle gains at an optimum, then chicken and fish in my opinion are the protein sources to fill your needs. Beef products are questionable. As a protein source, beef is inferior when compared with the nutrition derived from eggs, chicken, and fish. Per pound, beef contains more uric acid than either of the aforementioned food sources. Uric acid is a leading cause of gout, a painfully serious illness that plagues many Americans. Protein supplements are a big business in this country. Consumed by the ton every year, American athletes rely greatly on their nutritional value. While these supplements do work to some degree, questions have to be raised as to their need. Why is it that Americans use supplements at all? Why is it that our people are not educated on nutrition? Through my research, I have found that not only bodybuilders, but also athletes in all sports, feel that protein supplements are needed as insurance towards success. It has been nearly four decades since I last used any form of protein supplement. I solely rely on single ingredient natural foods for my protein requirements, and have enjoyed optimum strength and health, while maintaining my muscular mass well into my fifties. 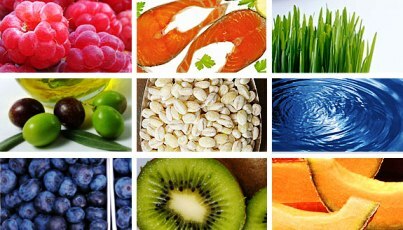 It is through the consumption of natural foods that our bodies experience lasting health and vitality. Why not give it a try? As you have probably figured out by now, I am not a big supporter of supplements for the purposes of building muscle or gaining strength. I believe trainees should get all their nutritional needs from a well-designed nutritional program. I have not taken any form of supplements since my high school days and have not had the need for them because of my natural bodybuilding lifestyle. Whenever I stroll through a health food store or read an ad in a muscle publication, I become amazed at the ever-increasing variety of designer supplements created for the consumer. Most bodybuilding supplements are marketed with the promise of turning the user into a Herculean specimen that women cannot resist and men admire with great envy. It is all legal marketing but a bunch of hogwash in my book. For the most part, these ads are misleading and the only ones making any gains from this marketing ploy are those who financially profit from the sale of these supplements. Being a realist, I understand most bodybuilders do not practice sound nutrition and rely somewhat on supplements to help them meet their dietary requirements. If you feel the need for supplementation then stay with the basics such as a good vitamin/mineral supplement and perhaps a protein powder derived from eggs. You do not have to pop twenty different pills a day unless you have a medical condition, and if that is the case, seek a doctor’s advice. For the most part, bodybuilders should only take supplements to fill the void of substances that are missing from their diets, or which their bodies cannot manufacture or fully assimilate. Do not get into the habit of solely relying on supplements to make gains. If you do, most of what you swallow will end up as waste and flushed down the bowl, along with the hard-earned money you spent on them. Look at it this way. Let us say you have a small houseplant that requires occasional watering and sunlight to grow. Do you think overdosing it with water every hour or exposing it to sunlight twenty-four hours a day is going to make it grow at a faster rate? The answer is no, and you will probably wind up killing the plant. The same rule of nature applies to people. Our bodies can only assimilate so much of any nutrient at any given time. It is a fact of life that too much of anything, no matter how good it may be for you at the proper amount, might bring you ill health and end your bodybuilding days with a crashing halt. If I can eat naturally for decades without any form of supplementation to sustain my size or strength, then you too can eat in the same manner and make great gains from following a well-designed nutritional program. No matter who you are, what you do, or what your goals may be, you can always do it better with nature. Nature provides us with all the nutritious substances we need to manufacture our bodies into Herculean form. When planning your nutritional program, stay as close to nature as possible to help ensure maximum gains in muscle, fitness, health, strength, and vitality. Remember, if we stuff ourselves with all kinds of manufactured foods, we not only run the risk of impairing our muscular growth, but also depleting our body of its natural reserves of health. While we are building a championship physique, we are also building long lasting health. It is possible and actually easy to stay in shape all your years. All you need do is apply an intelligent, well-planned, instinctive, natural bodybuilding program to your life. Listen to some basic nutrition principles for bodybuilding.